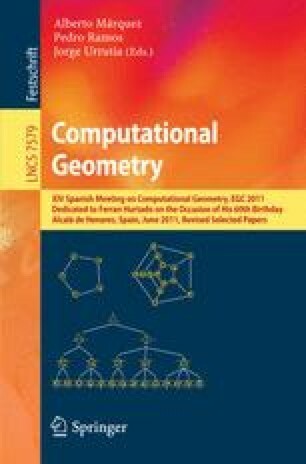 This paper describes algorithms for computing non-planar drawings of planar graphs in subquadratic area such that: (i) edge crossings are allowed only if they create large angles; (ii) the maximum number of bends per edge is bounded by a (small) constant. Work partially supported by the Italian Ministry of Research, project AlgoDEEP 2008TFBWL4, and by the ESF project 10-EuroGIGA-OP-003 “Graph Drawings and Representations”. Work on these results began at the 5th Bertinoro Workshop on Graph drawing. Discussion with other participants is gratefully acknowledged.